Sorry, it’s been a while hasn’t it? Things going on I’m afraid (nothing significant, just general life stuff) which meant I haven’t got round to putting much up on here. But I do have a batch of stuff that I will post over the next few weeks, and here is the first. Depending on your generation, this is either a disco classic from the 1970s (Gloria Gaynor) or a classic hi-nrg cover from the 1980s (The Communards). Or possibly even a Jacksons classic from the early 1970s (I didn’t know anything about that one until I started looking into this). For me it’s the 1980s version that is the most evocative, although I do like the Gloria Gaynor one for it’s subtlety (The Communards version is *not* a subtle record!). 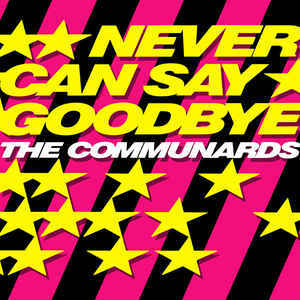 The Communards had already had a huge hit with a cover of a disco classic (Don’t Leave Me This Way) in 1986, and followed it the following year with this. Some might call it a cynical attempt to re-capture the success of the following year, and there is probably some justification for that (subsequent original songs had not really set the charts alight). But I don’t think you can fail to respond to the enthusiasm and clear love of the song that Jimmy Somerville and Richard Coles (now the Rev. Richard Coles) brought to this recording. I particularly love the totally camp enthusiasm that Cole shows in the video (see 1:12) and Sommerville is obviously immensely enjoying himself (see 3:25). And so to the songsheet. There’s a few unusual chords in there (although you could probably skip the Db if you struggle with it) but they do add something to the song. The rhythm is relatively straightforward and consistent throughout, although I have add a couple of counts where the timing might get a little tricky. Sing and play with enthusiasm an you can’t go far wrong. Categories: Dance | Tags: 1970s, 1974, 1980s, 1987, Communards, Dance, Disco, Gloria Gaynor | Permalink. By the 1990s I’d started to lose track of contemporary pop music. Much of the dance scene that dominated the charts didn’t really interest me, and my focus was veering towards more country, folk and singer-songwriter sounds. 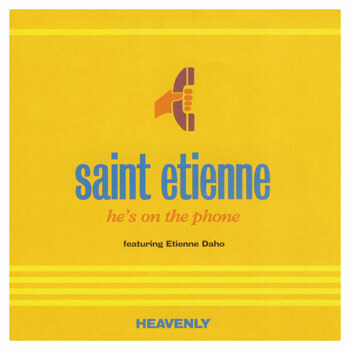 As a result Saint Etienne passed me by. Which was a shame really. Because here was a band who combined a classic pop sensibility with a very british outlook, and blended that with facets of the contemporary dance sound. And in the process created a quite special and unique vibe that gave dance music genuine songs with a knowing, melodic twist. Over the years the more overt dance sounds became less prominent as their sound matured, but that mindset still pervaded their work. Songs took on my grown-up themes (although they also recorded a set of children’s songs as well! ), reaching – to my mind – a peak in the truly extraordinary Teenage Winter. He’s On The Phone was the bands biggest hit. The song was a reworking of a “Week-end à Rome”, a previous collaboration with French singer Etienne Daho. Introduced by a simple descending piano riff, the song powers along on a pulsating dance beat and tells the story of a hotel-based liaison between a young academic girl and a married man. So not obvious material for a ukulele cover, clearly. But I think this works quite well. There’s a few unusual chords in there, and the Bsus4 to Bm transition may be a bit tricky to start with. But generally this shouldn’t be too tricky to pick up. I’ve also included the tab for that piano riff as well, which happens at the beginning of the song and then appears at various stages throughout. Give it a go. And enjoy! Categories: Dance, Indie | Tags: 1990s, 1995, Dance, Indie, Saint Etienne, ukulele | Permalink. By the early 90’s Everything But The Girl had been going for 10 years. Whilst they were still having success, they seemed to have plateaued, a loyal fan base, but unlikely to break out beyond that. 1994’s Amplified Heart continued the trend of tasteful acoustic songs with a folk and jazz influence. But buried within it was this low-tempo song based around a subtle laid-back groove. Ben Watt and Tracey Thorn (the duo/couple that essentially *were* Everything But The Girl) had always though of the song as a dance-oriented track, and gave the it to American DJ Todd Terry to remix for use in nightclubs. The result was revelatory. Giving the song a strong New York house direction, Missing was transformed with a sparse, beat-driven sound that contrasted with the mournful, lonesome vocals of Thorn (who, if you’re at all interested, has what I would consider to be one of the most beautifully textured voices in pop). And the world agreed – Missing became a huge global hit, one of *the* defining songs of the decade. The band were so taken with this new direction (alongside Tracey’s involvement with the Massive Attack track “Protection”) that they executed a radical career reinvention, embracing a more electronic sound, picking up on the emerging drum-and-bass sounds and ushering in a newly successful period for the band, something that Ben Watt then took further when the band entered an indefinite hiatus in his role as dance music producer and DJ. As with many dance tracks, the song has a very simple structure based around a simple repeating chord structure. So nothing difficult in terms of chords here – the only challenge is getting the rhythm right in a way that keeps the song moving forward. Follow the acoustic version or the dance version – the choice is yours. Enjoy! Categories: Dance, Synthpop | Tags: 1990s, 1994, Dance, Everything But The Girl, ukulele | Permalink.